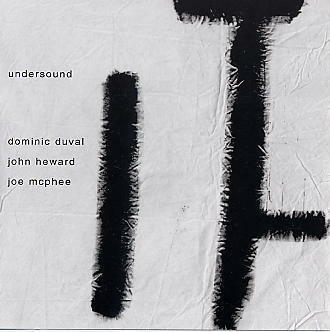 Dominic Duval bass; John Heward drums, kalimba, voice; Joe McPhee soprano saxophone. The concept of this CD lays in the title - undersound being synonymous to understatement. This recording finds Dominic Duval with yet another set of musicians; however, having been on the road for quite some time, the trio have achieved a unique level of togetherness in bringing out their concept.